I’ve always wanted to listen to books on tape but since I prefer reading them, I never really tried it. Until this guy told me that Kindle’s Whispersync for Voice allows you to use the Kindle app and the Audible app to both read and listen to a book. Whispersync will keep everything in sync so that when you start listening on your phone it picks up right where you stopped reading. And it works brilliantly! 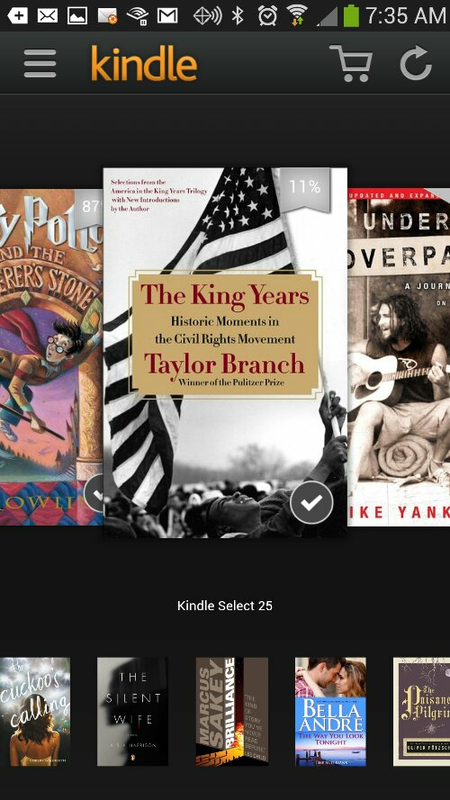 Here is a screenshot of the book I’m reading now, The King Years, on my Kindle. Btw, I actually prefer reading this on my Galaxy S4 over the iPad Mini. The screen size of the S4 is terrific. 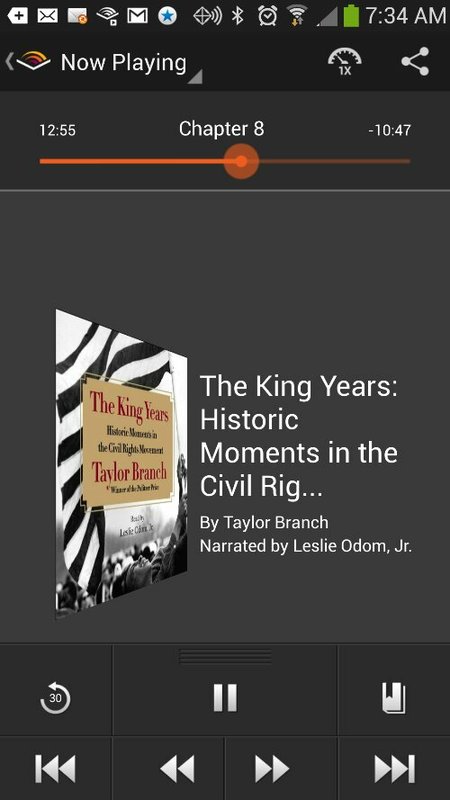 And here is a screenshot of the Audible app for the same book. Works like a charm.